Albuquerque is one of America’s oldest cities — the Spanish colony was founded in 1706 — yet there is no mistaking the destination’s authentic, vibrant, ever-changing appeal. 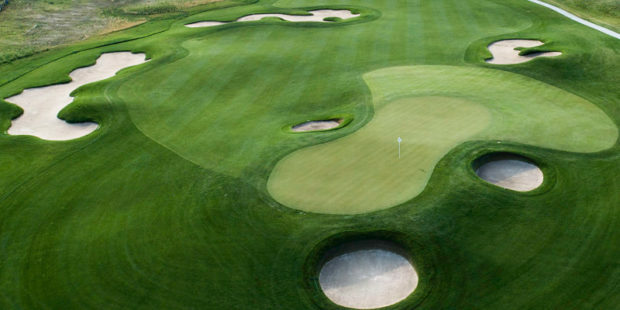 With autumn temperatures set to cool New Mexico’s high desert environs, it’s high time to plan your annual golf trip to the Duke City. 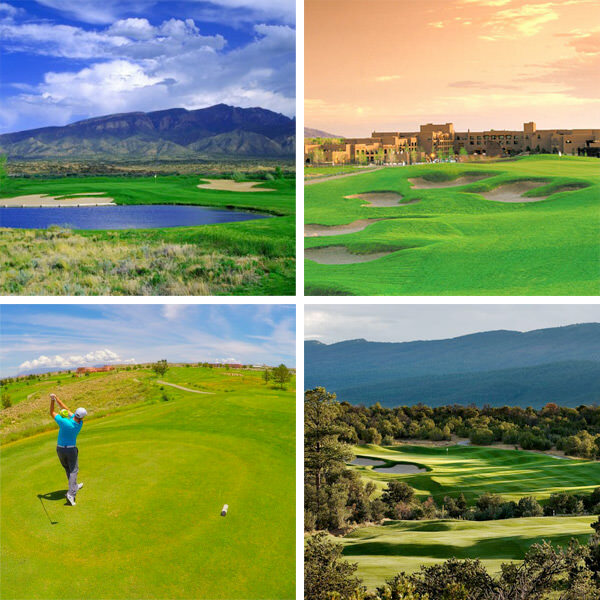 Showcasing Albuquerque’s remarkable allure are top-quality golf properties like the 27-hole Ken Dye-designed Paa-Ko Ridge, ranked the state’s best course by Golf Digest; Twin Warriors (Gary Panks); Santa Ana (Ken Killian); and the University of New Mexico’s superb Championship Course. For an elegant and carefree getaway, overnight at the lavish Sandia Resort & Casino. Entering its second decade, the Sandia Pueblo-owned vacation property offers easy access to I-25, is mere minutes from Balloon Fiesta Park (more about that later), and is gloriously framed by the watermelon-colored Sandia Mountains. 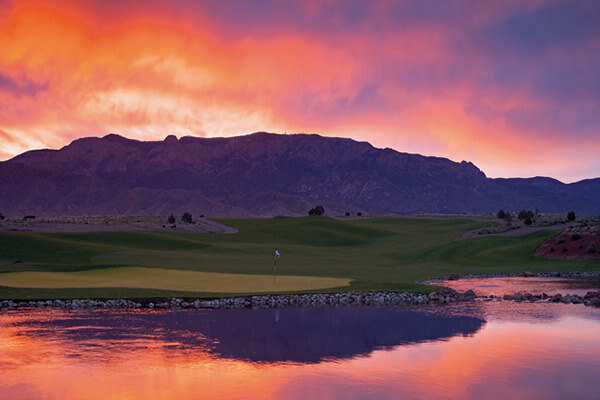 Which, by no happenstance, is also the jaw-dropping backdrop of the resort’s impeccably conditioned Sandia Golf Club, a 7,752-yard Scott Miller design that annually hosts the New Mexico Open. 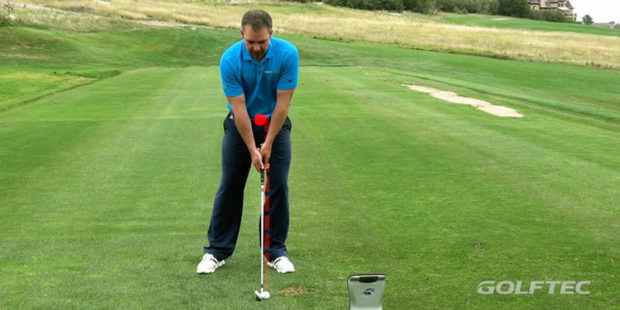 If you fail to score here, take heart: Multiple-chance opportunities are no further away than the resort’s 140,000-square-foot casino or Sandia’s beguiling Green Reed Spa. Clockwise from top-left: Santa Ana, Twin Warriors, Paa Ko Ridge, Isleta. Closer to the heart of the city is another premier property, Isleta Resort & Casino, which in April launched a 24-month, $40 million renovation that will expand its casino floor, add a new concert venue, upgrade food and beverage services and more. 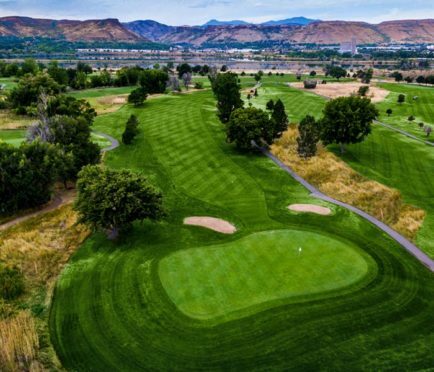 Having just celebrated its 30th anniversary, the destination offers 27 holes of Ken Dye golf, Vegas-style gaming, casual dining, spa services and terrific entertainment (comedian George Lopez is Oct. 13; music legends The Temptations are Oct. 27). October is just days away, and that means one thing in New Mexico: the world-renowned Albuquerque International Balloon Fiesta. For nine days (Oct. 7-15), the skies are spectacularly painted with more than 600 hot air balloons that ascend daily from Balloon Fiesta Park. Since its auspicious 13-balloon start in 1972, the iconic event has grown to include laser light shows, morning glows, chainsaw carvings, car shows, competitive flying and more. 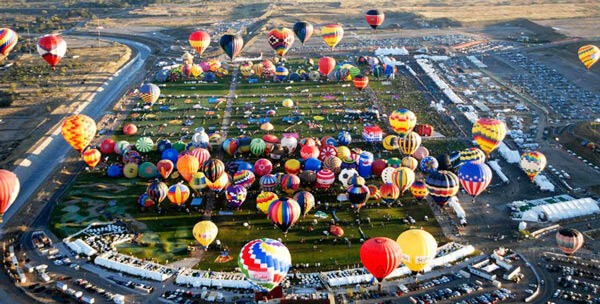 Further, the Balloon Fiesta is preceded by the 29th annual Rio Grande Arts & Crafts Festival (Oct. 6-15) and the eighth annual New Mexico Brew Fest & Music Showcase, which this year is headlined by country music superstar Billy Currington (Oct 14). Soon after is the 25th annual South Valley Dia de Los Muertos Marigold Parade and Celebration (Nov. 5). Albuquerque is a six-hour drive south of Denver via I-25. For more information, go online to VisitAlbuquerque.org. What are your favorite memories of Albuquerque? Share your comments below.